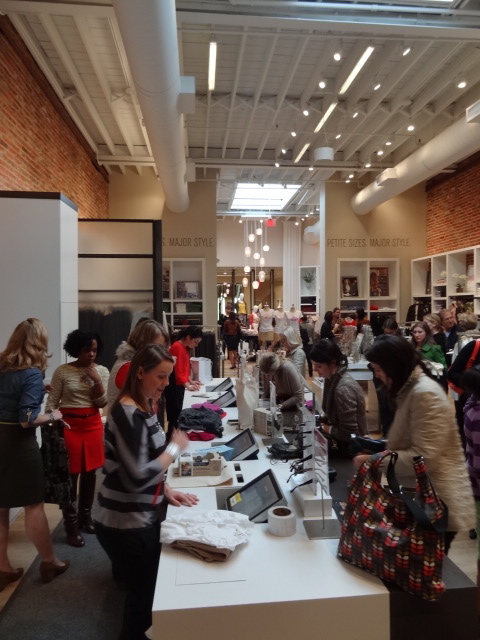 Today was the official Grand Opening of the new LOFT store in Georgetown. It was a shopaholic mommy (like me) dream come true! 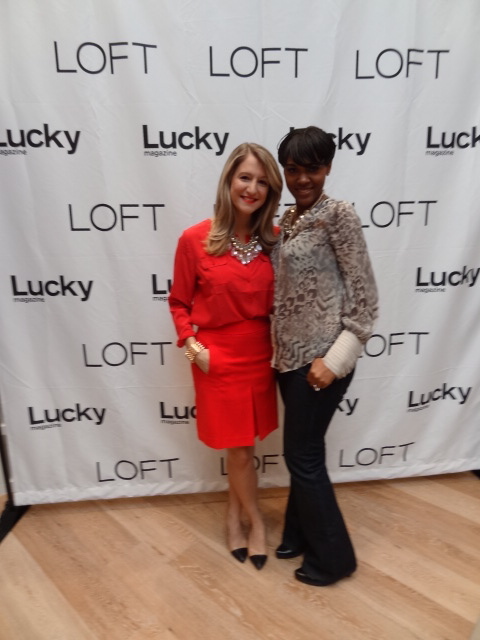 I’m an avid shopper at the LOFT store in the Clarendon neighborhood, but when I heard that DC Fashionista Lacey Maffetone (of A Lacey Perspective) was hosting the event with Lucky Magazine, I knew I had to attend. All sorts of treats were abound including a fabulous female DJ spinning the latest dance tunes, Prosecco, mini Georgetown Cupcakes, a complimentary October issue of Lucky Magazine, 30% off EVERYTHING in the store and most enticing–aLomography La Sardina 35mm Camera ($69 Value) free with a $200 purchase! I almost lost focus! I only needed tops for the season! But, I came out with 3 beautiful season-less outfits, a cute little tote bag (also free with purchase) and the neatest retro looking camera any electronic/camera junkie like myself would be happy to add to their accessories. Lacey Maffetone is the ultimate cool chick and fashionista. 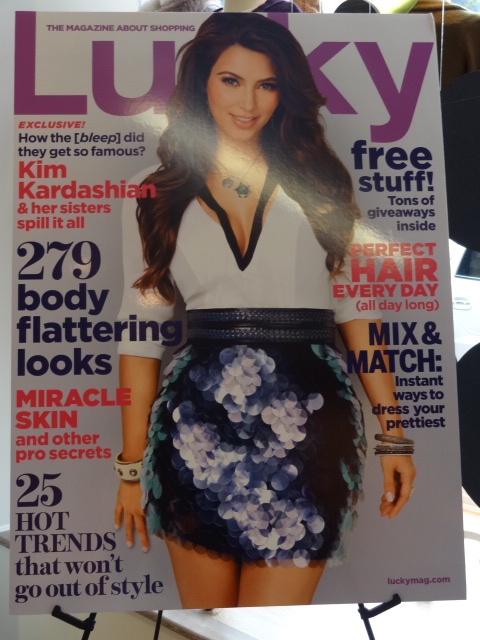 Her passion for fashion and her bubbly enthusiasm was electrofying! The red outfit she wore was the biggest hit amongst all the shoppers. The red skirt she wore were completely sold out by the time the event was over. And I have to admit, I bought the same outfit too. 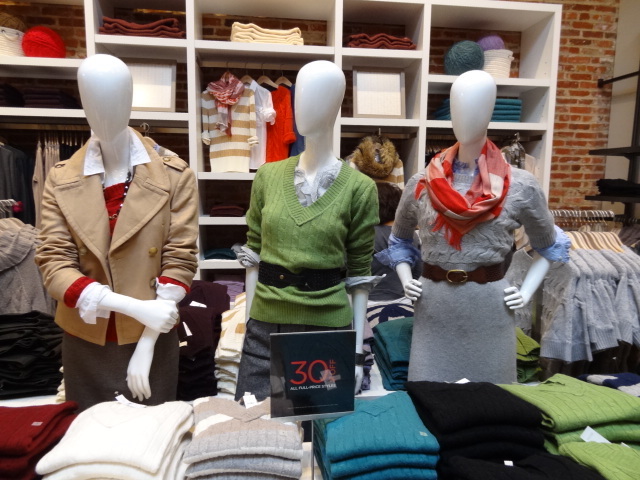 Other hits were a coral crew neck ribbed sweater with faux fur muffler, cable knit ponchos, A-line skirts and the modern slim leg corduroy pants. 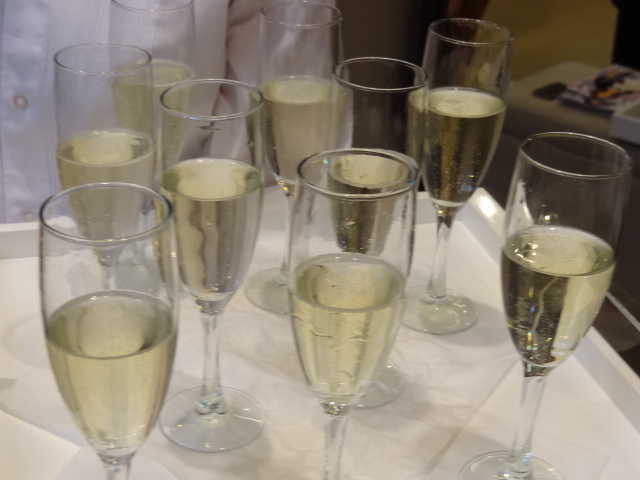 Ms. Maffetone helped style as many guests as possible while her energy remained as upbeat as the moment she arrived. Somehow in the midst of all the styling, she was also able to meet and greet the dozens upon dozens of fellow bloggers and fans that came out to support her and this fantastic grand opening event. 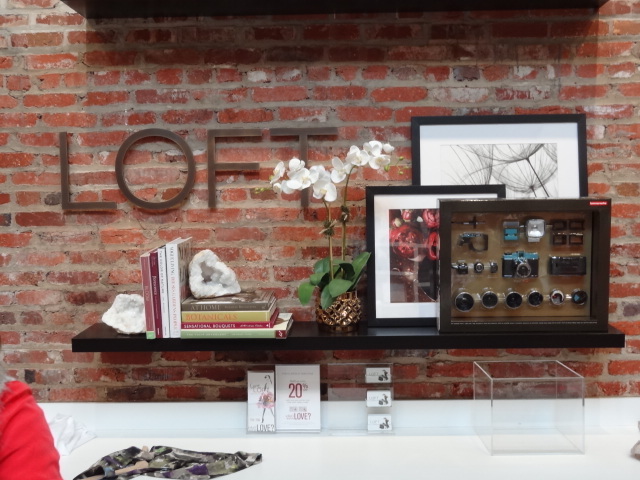 Loft is located at 1239 Wisconsin Avenue NW, Washington DC.